The classic rabbit-hunting technology of the Native Americans was people-intensive, using communal nets and crowds of noise-makers to send the rabbits into the nets. In the Western US, the nets were made from dogbane fiber, and net-weaving was so labor intensive that only whole villages make afford a net, and its upkeep has been a whole community business just like the hunt. 1. Snare - leave a baited wire snare outside a borrow entrance, the rabbit takes the bait and catches a foot in the snare. But what about "Rabbit Starvation"? As the larger mammals vanished and reliance on rabbit meat increased, meat-only Neanderthals didn't manage to sustain themselves on rabbit alone, whereas modern humans were more adapted to compensate the lack of nutrients with a more balanced fish/berry diet. So this finding would lend credence to the idea that Neanderthals died out largely because of their over-reliance on terrestrial red meat. The evidence available in support of that thesis is stronger than ever, apparently. "Rabbit meat is notouriously NOT a good source of food for long-term survival..."
The link actually refers to any lean meat, not just rabbit. 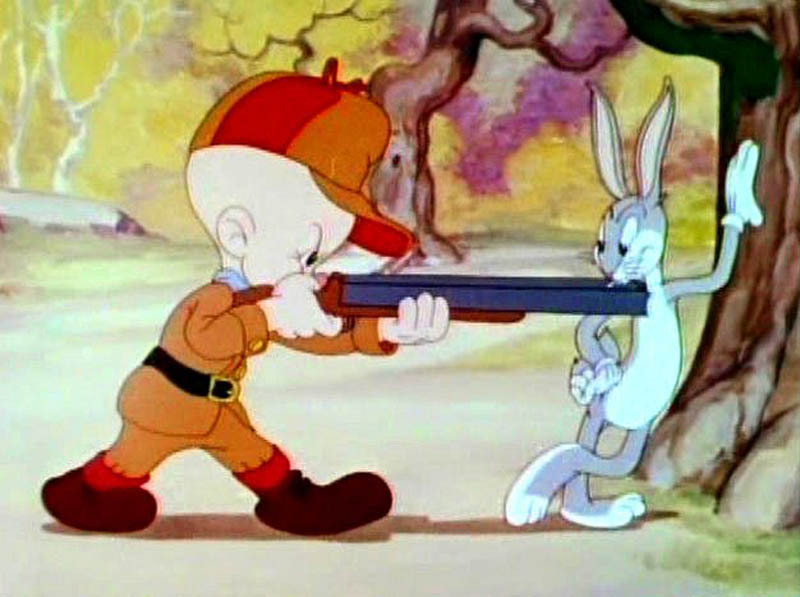 I ate a lot of rabbits in my school days, but I shot them with a rifle. I think that perhaps the reason rabbits didn't make up a high proportion of the Middle Paleolithic diet was that humans hadn't worked out how to make snares or nets. Upper Paleolithic people were possibly forced to turn to rabbit through the extinction of the megafauna. I seem to remember reading there was a similar turning towards birds in the diet. Probably for the same reasons. While they had a diet high in meat, Neanderthals ate starch, too, and also knew how to exploit seafood. However, hunting rabbits isn't all that easy and needs some technologies (as said above - nets, often used by women in the American SW, sometimes made with the help of human hair; or snares, or trained dogs). As to starvation from lean meat: that is pretty rare - especially if the bone marrow and brain are consumed. Also, most HGs know/ knew how to preserve fat, which is abundant from many animals and can be stored for "lean" times. More likely the cause was the other way around. Moderns extincted those animals not neanderthals. And obviously neanderthals didn't die out they are several % of our genetic makeup. Snares are quite fiddly which makes me wonder about hand size. I also wonder if the amount of meat you could get from hunting rabbits could ever compare with the sort of amounts you could get from taking down a mammoth. I have a pet rabbit who lives in the back yard. He would not be easy to catch if he didn't feel like being picked up, and he's a big white domestic rabbit. The little brown rabbits in the hills are very, very quick. My impression is that rabbits have some kind of randomness generator in their decisionmaking process. After 8 years, I still can't predict what my pet rabbit will do. Rabbits aren't very smart, but they're hard to outsmart because their behavior is unpredictable. I am not entirely convinced that rabbit hunting is what was going on. Even today, rabbits aren't really considered a classic domesticated farm animal, but it is one of the easiest animals to raise in a cage. The food they need is easily gathered. Maybe these were bred and caged rather than truly wild. I am not entirely convinced that rabbit hunting is what was going on. Well, rabbit hunting is documented from the native American SW and some other cultures. It's not as difficult as it sounds (especially with "breadcrumbs seduction"), and takes much less resources than (for that time anyway undocumented) domestication. I fed the rabbits my grandfather kept - it was relatively easy, but including cleaning the cages and keeping the animals healthy it was a bit of an effort, every day, for a small once-a-year (but admittedly extremely tasty ;)) benefit. Better to consider eating the whole rabbits (fur singed off), not just "meat"